Given his current superstar status, it's sometimes easy to forget that Leonardo DiCaprio didn't make his name as a reliable pretty face but as a young, talented and Oscar-nominated actor. One of the roles that first brought him to widespread attention and his role that could be considered a lead was as the rebellious Toby in the 1993 This Boy's Life, where he starred alongside internationally renowned performers Robert De Niro and Ellen Barkin. Drifting from town to town and various different relationships, single mother Caroline (Barkin) and her son Toby (DiCaprio), eventually settle in Seattle, where she meets the seemingly charming Dwight (DeNiro). The couple marry, but her husband's veneer of respectability soon fades to reveal a bullying, violent tyrant, who wants to change Toby and the emotional, verbal and physical abuse begins. Based on the memoirs of writer and professor Tobias Wolff, This Boy's Life is a powerful tale of a rebellious teenage boy growing up in the 1950s with an abusive step-father. 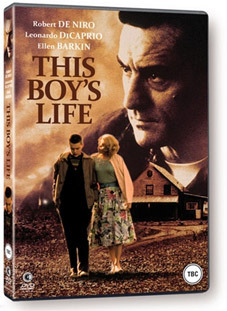 This Boy's Life will be released on UK DVD by Second Sight on 10th October 2011 at the RRP of £15.99.